Plans are set for Elizabeth Edwards' funeral Saturday. Mourners will hear tributes from her daughter and two close friends - but not her estranged husband, former senator and presidential and vice presidential candidate John Edwards, reports CBS News Correspondent Elaine Quijano. The funeral will be held here at the Edenton Street United Methodist Church in Raleigh, N.C. The service will celebrate Elizabeth's life. She succumbed to breast cancer this week at the age of 61, after a six-year battle. Two close friends and the Edwards' 28-year-old daughter, Cate, will pay tribute. "(Cate's) been through so much," says close Edwards family friend Jennifer Palmieri, "losing her brother (John and Elizabeth Edwards' son, Wade, who died 14 years ago in a car accident at the age of 16), and now, her mom. But she's very strong … and has so much of her mother in her." 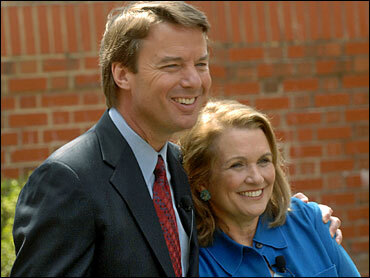 Elizabeth separated from John in January after learning he had fathered a baby with a campaign staffer, Rielle Hunter. The church has a special place in the Edwards' lives. Wade's funeral was also held there, in 1996. Cate, a recent graduate of Harvard Law School, also gave a eulogy at Wade's funeral, when she was just 14. Elizabeth will be laid to rest right next to his grave -- a place she visited every day for years after he passed away. As Elizabeth's final wishes for her burial will be honored, her dreams for her younger children's futures will be, too, says Quijano. John will continue to raise Emma Claire, 12, and Jack, 10. "It was very important to Elizabeth," says Palmieri, "that the father of her children be in good shape and that he be able to carry on and live a good life and live a good life for Jack and Emma. She felt good about that." The funeral service, says Quijano, will be open to media cameras and the public, giving people the chance to pay their respects for a woman who inspired so many people. The burial service will be private.